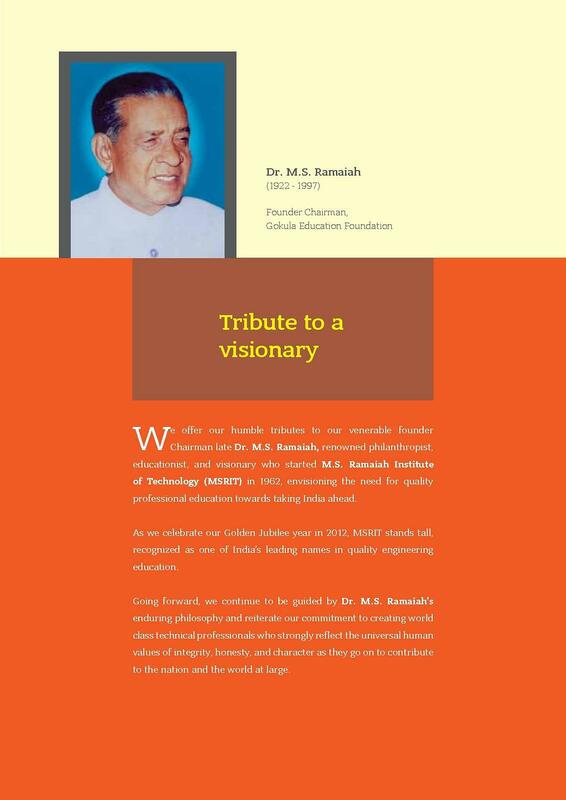 Ramaiah Institute of Technology (RIT) formerly known as M.S. 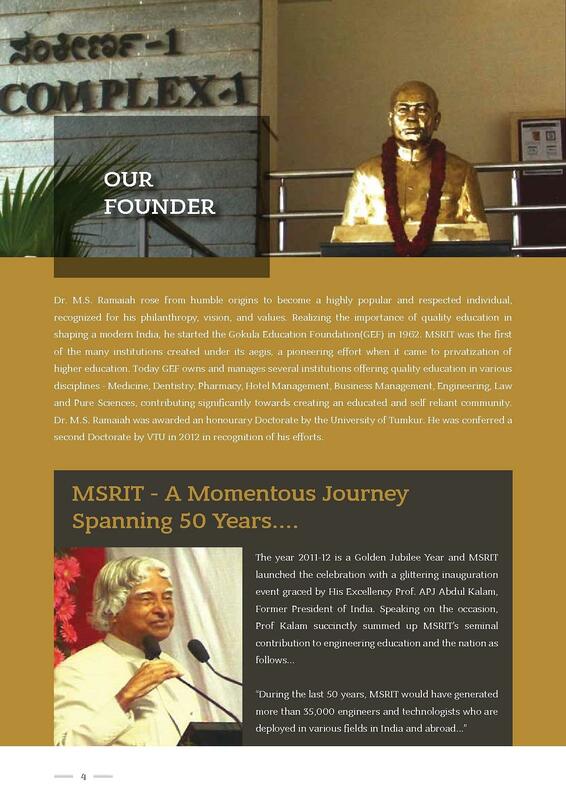 Ramaiah Institute of Technology (MSRIT) is an Autonomous Private Engineering Institute located in Bangalore, Karnataka. 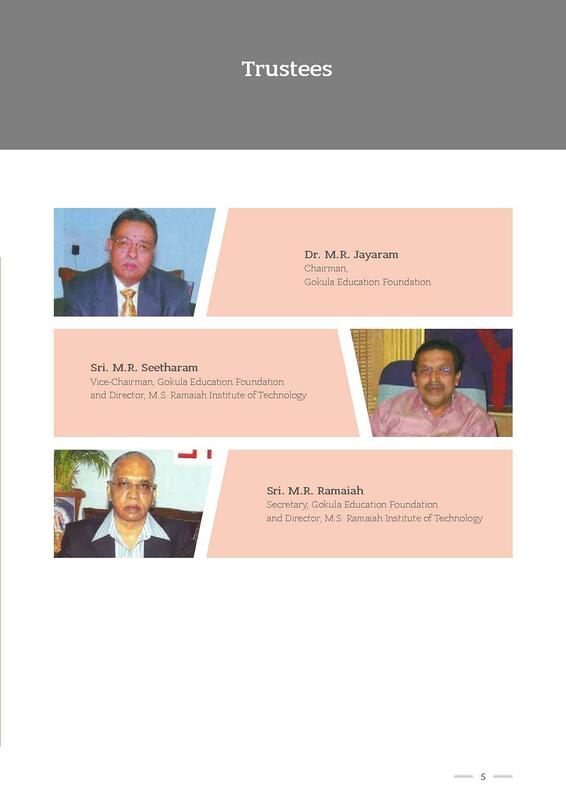 The Institute that is part of the Gokula Education Foundation (GEF) was established in the year 1962. 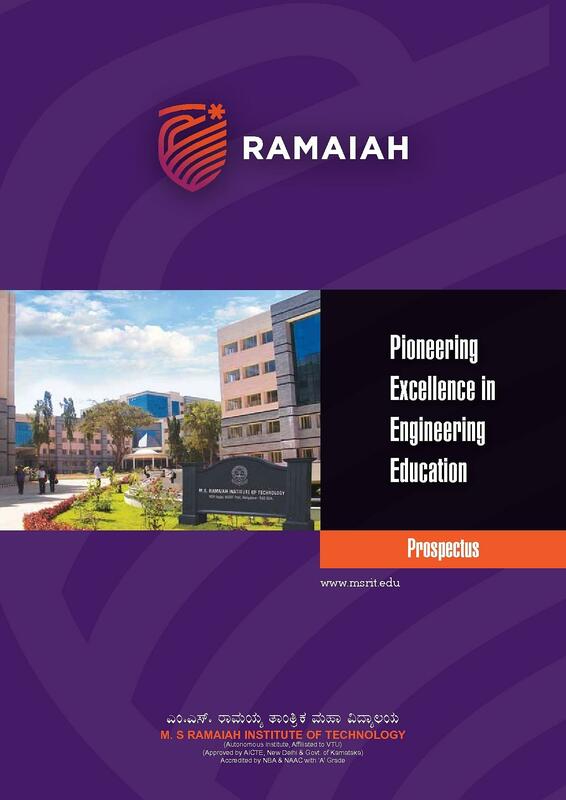 RIT offers various specializations in streams like Engineering, Architecture, Biotechnology, Management, Computer Science and Technology at UG, PG and PhD level. The college offers B.E. / B.Arch. programs at the Undergraduate level and M.Tech / M.Arch. / MCA / MBA / M.Sc. programs at the Postgraduate level. Additionally, the Institute also offers Research program in several specializations at the Doctorate level. Admission to B.Arch. courses will on the basis of marks acquired by the candidate in 10+2 with Mathematics as one of the main subjects. Minimum marks required to apply for B.Arch. course is 50% (10+2). Candidates applying for B.E. course must have passed 10+2 with Physics and Mathematics as compulsory subjects and Chemistry/Biotechnology/Biology/Computer Science/Electronics as optional subjects. To apply for B.E program a candidate must score minimum 45% marks in HSC. Candidates will be selected on the basis marks scored in 10+2 and KEA / COMEDK exam. Applying candidate must have obtained a Bachelor’s degree in the relevant discipline from a recognized University / Institute. Candidate seeking admission to M.Sc. program must hold a four-year bachelor degree in any relevant discipline. Minimum marks required to apply for PG courses is 50% (Bachelor’s). Selection will be made on the basis of marks secured by the candidate in PGCET (Post Graduate Common Entrance Test) conducted by the Govt. of Karnataka. Candidates should have obtained a Master’s degree in the relevant subject to apply for PhD course. To apply for Research programs a candidate must score minimum 55% marks in Postgraduation. Deserving students can avail several scholarships awarded by the Government of Karnataka. Hostel : There are separate hostels for girls and boys with 2 seater and 3 seater rooms. Additionally, some other facilities are also available for the students viz. Mess, canteen, Common room, Music room and Wi-Fi. Library : The library comprises of 1,27,554 books, 53 National and International printed journals, 8640 E-Journals, 37,512 Titles, 3500 Compact Discs (CD’s), 24,000 databases, 75 Video Cassettes and 1421 IS Standards. 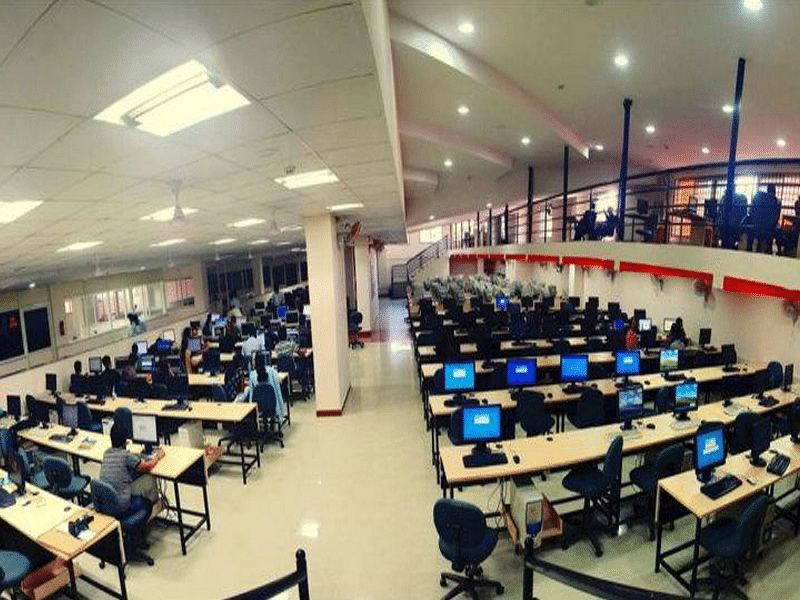 Internet Center : The data center is air-conditioned with adequate power backup. The institute has an Internet connection of 100Mbps which is controlled and regulated by using a UTM device that contains an antivirus and antispam database. Some of the important servers in NIC are Web Server, Student Information System, Biometric Attendance System, DHCP Server, DNS Server, BBWT AMS, LDAP Server and Moodle/e-learning server. The ambiguity in dates for holidays really causes many problems. Especially for the students coming from far places. So, I hope they will solve this problem. RAMAIAH. A place to be! all good nothing bad about the management as I know. Overall the college is good in terms of placements and campus life. The course curriculum is also good. The only bad thing is that there is no strictness. Hi Harshitha, You may please contact 080-23600822 , 23606939 to get this information. How many marks I required for gate for admission in ur institute? Hi Janhai, The admission is based on PGCET not GATE. Hello,this is janhavi.I am from Maharashtra.ill complete my BE in 2019.I want to take admission for Mtech.what is criteria for ur clg? Hi Janhavi, Selection to the course is made on the basis of merit scored in the PGCET (Post Graduate Common Entrance Test) conducted by Government of Karnataka and eligibility is A candidate should have a B.E/B.Tech. degree in the relevant discipline with at least 50% marks in aggregate in order to be eligible for admission to M.Tech. The minimum aggregate marks required is 45% in case of candidates from Karnataka belonging to SC/ST Category-l.
Hi Akash, To get idea which college you will get please check the link:- Participating colleges. HELLO THIS IS KUNAL. I HAVE GOT 8200 RANK IN COMEDK 2018. CAN I GET MECHANICAL ENGINEERING?? Hi Kunal, Its depends upon the college whether you will get admission or not according to your rank. Hi Deepika, You can check cutoff list on the official website of the college and fore information please contact on 23607902, 23606939. Hi Shahul, They Require 40% in NATA Entrance test to get the admission in this college, please check this link for B.Arch Course from this College. Hi Fatema, Let me inform you that this college does not offer Master of Science course. "Rit - the college that gave me lifetime experiences"
First off the placement department is excellent here and the department I needed for my specialization as well. also, the other competitors are at the outskirts of the city, unlike Ramaiah which lies in the heart of Bangalore. The college has great extracurriculars as well which is an added benefit. 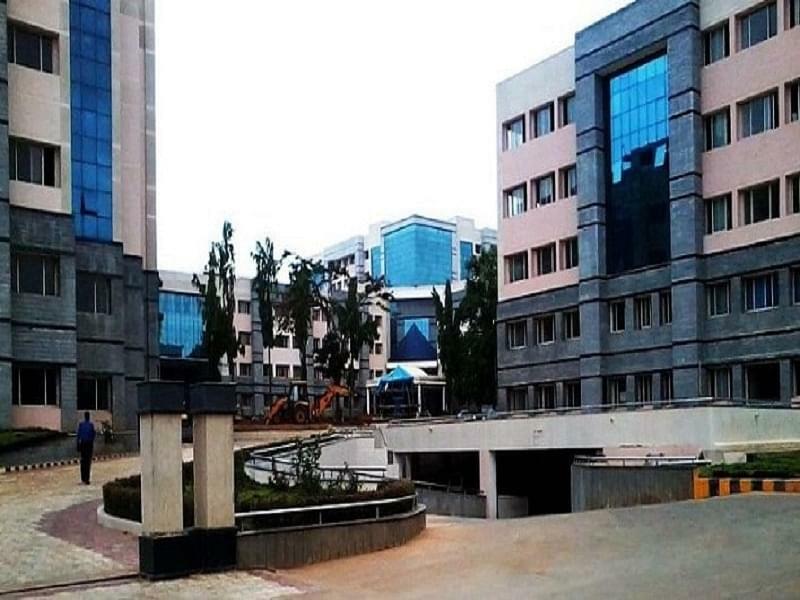 "Education, Placement and Campus life"
It is the best college in Karnataka after nit suratkal. It has a 44th ranking in MHRD Ranking in the year 2017 and 60th in 2018 all over India. 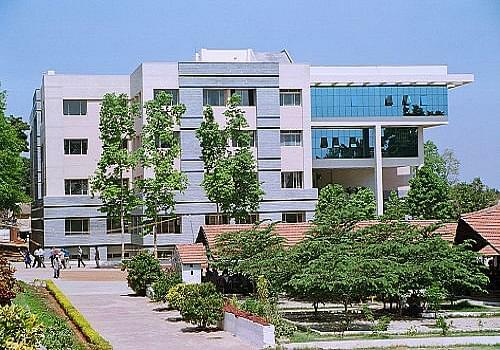 The placements are very good due to the IT Hub of India ie Bangalore. The campus size is also quite big and it has hostel and mess facilities inside so that students don't have to face any problem. It also has many Private hostels in nearby surroundings which are priced slightly higher but they have more facilities so students can opt for any of them. This college offers one of Karnataka's top academics as well as a wide range of extracurricular activities. This college grooms you in a way to prepare you thoroughly for your future in the real world. It prepares to face all the real world problems.